Pulitzer Prize-winner Peter Balakian is the author of seven books of poems, four books of prose, and two translations. His poems have been critically acclaimed in the US and abroad for over four decades and his memoir was a best book of the year for the New York Times, the LA Times, and Publisher’s Weekly. Working from a form of poetics he calls “writing horizontal,” Balakian’s poetry engages a wide range of realities including genocide, war, terrorism, climate change, AIDS epidemic, historical trauma and memory as well as the personal domains of love, death, art, and culture. His is a sensuous language: personal and cosmopolitan, elliptical and cadence-jolted, sharp and textured, such that the language itself becomes its own force of discovery and meaning. In his poetry and prose, social and political forces shape the self while at the same time enveloping an American grain and the reverberations of historical memory. Balakian is a major American voice, a poet and writer who is able to engage the discordant realities of contemporary life in all its starkness and difficulty—as well as in its moments of revelation, beauty, and resilience. Ozone Journal, his most recent poetry collection, won the 2016 Pulitzer Prize. Of the poems in this book, Keith Jones of Consequence Magazine writes: “Balakian is a master of—the drifting, split-second mirage, the cinematic dissolve and cross-cut as well as the sculptural, statuesque moment chiseled out of consonant blends and an imagistic, jazzman’s ear for vowels…beautiful, haunting, plaintive, urgent, in our dying world’s age, these poems legislate a vital comportment to the demands of our shared present, timely and untimely both.” Other collections include Ziggurat (2010), June-tree: New and Selected Poems 1974-2000, Father Fisheye (1979), Sad Days of Light (1983), Reply From Wilderness Island (1988), Dyer’s Thistle (1996). The Press of Appletree Alley has published four fine limited editions of his poems, with illustration. Vice and Shadow: Essays on the Lyric Imagination, Poetry, Art, and Culture was published in 2016. Balakian’s highly acclaimed memoir Black Dog of Fate (1997) received the PEN/Albrand Prize for memoir and was a New York Times Notable Book. The Burning Tigris: The Armenian Genocide and America’s Response received the 2005 Raphael Lemkin Prize and was a New York Times and National Bestseller as well as a New York Times Notable Book. He is also the author of Theodore Roethke’s Far Fields (1989). His translation with Aris Sevag of Grigoris Balakian’s Armenian Golgotha: A Memoir of the Armenian Genocide was a Washington Post book of the year. Balakian’s work has appeared widely in American magazines and journals such as The Nation, The New Republic, Antaeus, Partisan Review, Poetry, and The Kenyon Review; and in anthologies such as New Directions in Prose and Poetry, The Morrow Anthology of Younger American Poets, and The Wadsworth Anthology of Poetry. His essays on poetry, culture, art, and social thought have appeared in many publications including the New York Times Magazine, The Guardian, Slate, LA Times, Art In America, American Poetry Review, The Chronicle of Higher Education, and Poetry. He is co-founder and co-editor with the poet Bruce Smith of the poetry magazine Graham House Review, which was published from 1976-1996, and is the co-translator (with Nevart Yaghlian) of the book of poems Bloody News From My Friend by the Armenian poet Siamanto. In 2016, the Republic of Armenia awarded Balakian with the 2016 Presidential Medal and, in 2007 the Movses Khorenatsi Medal. Other prizes and awards and civic citations include a Guggenheim Fellowship; National Endowment for the Arts Fellowship; Virginia Quarterly Review; PEN/Martha Albrand Prize for Memoir; the Raphael Lemkin Prize for the best book in English on the subject of genocide and human rights’ and the Spendlove Prize for Social Justice, Tolerance, and Diplomacy (recipients include President Carter). his work His work has been translated into a dozen languages and foreign editions including Armenian, Arabic, Bulgarian, French, Greek, German, Dutch, Bulgarian, Turkish, Russian, Hebrew, Russian, Serbo-Croation, and in the UK. He has appeared widely on national television and radio: PBS News Hour with Jeff Brown, 60 Minutes, ABC World News Tonight, Charlie Rose, CNN, C-SPAN, NPR, and Terry Gross’s Fresh Air. Balakian was born in Teaneck, New Jersey. He attended Tenafly public schools and graduated from Englewood School for Boys (now Dwight-Englewood School) before earning his B.A. from Bucknell University, an M.A. from New York University, and a Ph.D. from Brown University in American Civilization. He has taught at Colgate University since 1980 where he is currently Donald M. and Constance H. Rebar Professor of the Humanities in the department of English, and Director of Creative Writing. He was the first Director of Colgate’s Center For Ethics and World Societies. 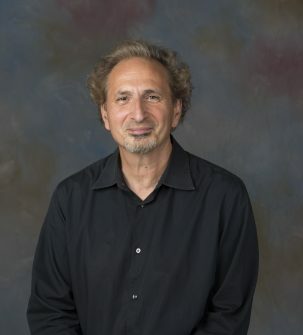 Peter Balakian is the author of several books of poems, most recently Ozone Journal (2015), winner of the Pulitzer Prize. Other collections include Ziggurat (2010), June-tree: New and Selected Poems 1974-2000, Father Fisheye (1979), Sad Days of Light (1983), Reply From Wilderness Island (1988), Dyer’s Thistle (1996), and several fine limited editions. 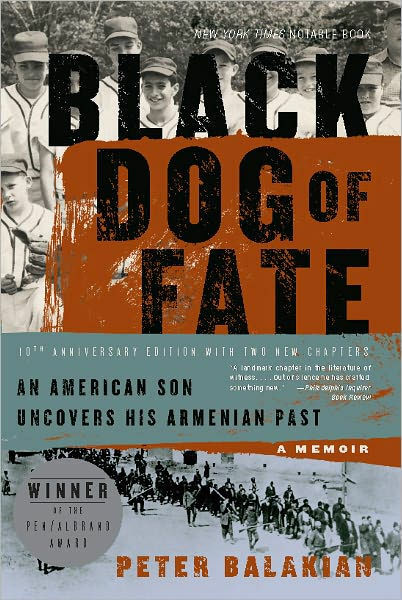 His memoir Black Dog of Fate is the winner of the PEN/Albrand Prize for memoir and a New York Times Notable Book Award. radical bonds were broken, history became science. We were never the same. The title poem of Peter Balakian’s Ozone Journal is a sequence of fifty-four short sections, each a poem in itself, recounting the speaker’s memory of excavating the bones of Armenian genocide victims in the Syrian desert with a crew of television journalists in 2009. These memories spark others—the dissolution of his marriage, his life as a young single parent in Manhattan in the nineties, visits and conversations with a cousin dying of AIDS—creating a montage that has the feel of history as lived experience. Bookending this sequence are shorter lyrics that span times and locations, from Nairobi to the Native American villages of New Mexico. In the dynamic, sensual language of these poems, we are reminded that the history of atrocity, trauma, and forgetting is both global and ancient; but we are reminded, too, of the beauty and richness of culture and the resilience of love. In his first book of poems since his highly acclaimed June-tree, Peter Balakian continues to define himself as one of the most distinctive voices of his generation. Exploring history, self, and imagination, as well as his ongoing concerns with catastrophe and trauma, many of Balakian’s new poems wrestle with the aftermath and reverberations of 9/11. Whether reliving the building of the World Trade Towers in the inventive forty-three-section poem that anchors the book, walking the ruins of the Bosnian National Library in Sarajevo, meditating on Andy Warhol’s silk screens, or considering the confluence of music, language, and memory, Balakian continues his meditations on history, as well as on the harshness and beauty of contemporary life, that his readers have enjoyed over the years. In sensual, layered, and sometimes elliptical language, Balakian in Ziggurat explores absence, war, love, and art in a new age of American uncertainty. On April 24, 1915, Grigoris Balakian was arrested along with some 250 other leaders of Constantinople’s Armenian community. It was the beginning of the Ottoman Empire’s systematic attempt to eliminate the Armenian people from Turkey—a campaign that continued through World War I and the fall of the empire. Over the next four years, Balakian would bear witness to a seemingly endless caravan of blood, surviving to recount his miraculous escape and expose the atrocities that led to over a million deaths. Armenian Golgotha is Balakian’s devastating eyewitness account—a haunting reminder of the first modern genocide and a controversial historical document that is destined to become a classic of survivor literature. 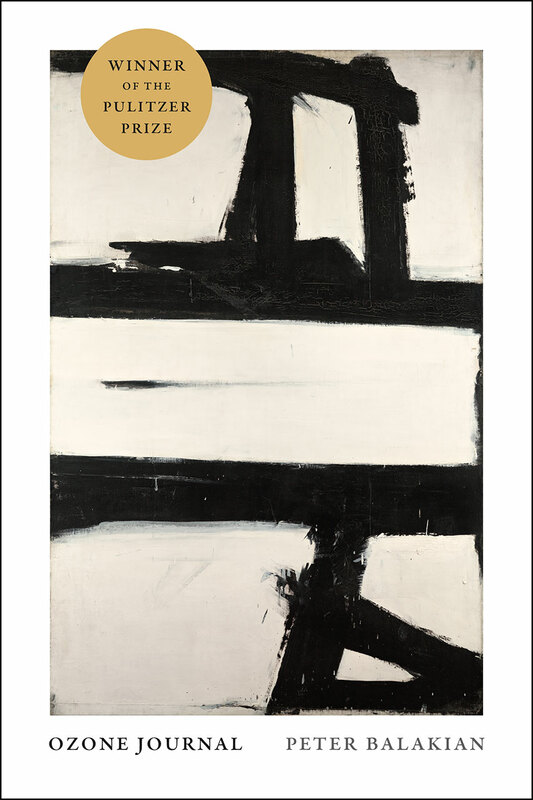 Prize-winning poet and New York Times-bestselling author Peter Balakian offers the best of his previous poetry, as well as thirteen new poems. For three decades, Peter Balakian’s poetry has been praised widely in the United States and abroad. He has created a unique voice in American poetry — one that is both personal and cosmopolitan. In sensuous, elliptical language, Balakian offers a textured poetry that is beautiful and haunting as it envelops an American grain, the reverberations of the Armenian Genocide, and the wired, discordant realities of contemporary life. In this tenth anniversary edition of his award-winning memoir, New York Times bestselling author Peter Balakian has expanded his compelling story about growing up in the baby-boom suburbs of the ’50s and ’60s and coming to understand what happened to his family in the first genocide of the twentieth century—the Ottoman Turkish government’s extermination of more than one million Armenians in 1915. In this new edition, Balakian continues his exploration of the Armenian Genocide with new chapters about his journey to Aleppo and his trip to the Der Zor desert of Syria in his pursuit of his grandmother’s life, bringing us closer to the twentieth century’s first genocide. The day comes in strips of yellow glass over trees. I’m only talking to you and only the sky is listening. then walk out beyond the seawall. broke branches and gutted into the river. I’ve come to see poetry as the chain of language linking lands an events, people and places that make our family story. Poetry has been a deep well of thought and feeling and language lushness that the Balakians have lived by. As far back as I can remember, wether it was Mother Goose, Grimm’s fairy tales, those beguiling Armenian words spoken around the house, the vernacular whiz of a DJ, the lyrics of a rock song, a sportscaster’s clipped phrases, language was always the realest reality for me. But it wasn’t until High school that the sensory and spirit power of poetry appeared to me. It was as if a bird flew out the dark into my head. It flew into my head like the force of fate my grandmother called pakht, and neither football nor Haskell’s Haven could interfere with its flight into my life.